Cupcakes are my kryptonite. So good, but so so bad. 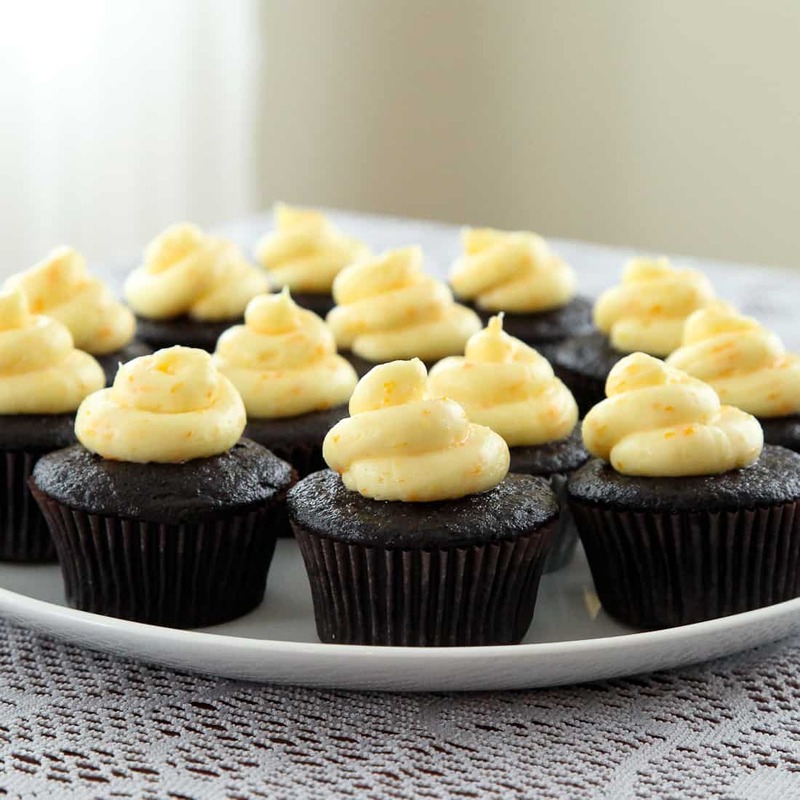 I swore off gluten entirely yesterday when I had a massive headache and horrible nausea for two days straight after eating only one (oh so yummy) of these chocolate orange creamsicle cupcakes. Okay, two. I ate one on Friday when I served them because I had to make sure they weren’t poisonous before giving them to guests and I had to eat another when photographing them because how else would you know what the inside looked like? Light, fluffy, moist, chocolate-y, summery citrus-y. I mmmmed and ahhhhhed after every single bite (and I don’t even like chocolate all that much!). Then I grumbled and complained for two days straight. One little confection puts me out like I’ve just indulged in one too many fruity cocktails the night before. I’m now convinced. F*&% gluten. To fight back, I went out and bought the most expensive flour of my life today: gluten-free and only $5/lb (oy vey). Cupcakes are going to be an expensive endeavor from here on out. Before I go all anti-gluten on you folks, this cupcake deserves its spotlight. It’s yummy. And for those of you without a nasty reaction to the wheat protein, you are in for a treat. Hell, everyone’s in for a treat, but some of you (15%) might be upset the next day. We had some friends over on Friday night and I promised dessert. I knew I shouldn’t be eating cupcakes, but I’d just ordered 1000 cupcake liners for the wedding from Bake it Pretty and I had to test them out to see if they’d hold their color. You heard me, 1000, and no, we’re not having 1000 cupcakes at the wedding…I just go overboard sometimes. To be fair, I also made a gluten-free strawberry lemon curd almond tart and strawberry ginger lemonade (recipes coming soon!) to go along with these cupcakes…I just didn’t obey the “only eat the gluten-free dessert, Sarah” command implied by baking two desserts. Chocolate was chosen as a stand-in for the equally-as-dark red velvet we’ll be having at the wedding since I’m much too cheap to buy red food coloring. The liners pictured here (dark brown and silver) held their color perfectly and I’m so glad I bought a ridiculous quantity. I’ll keep them for life. 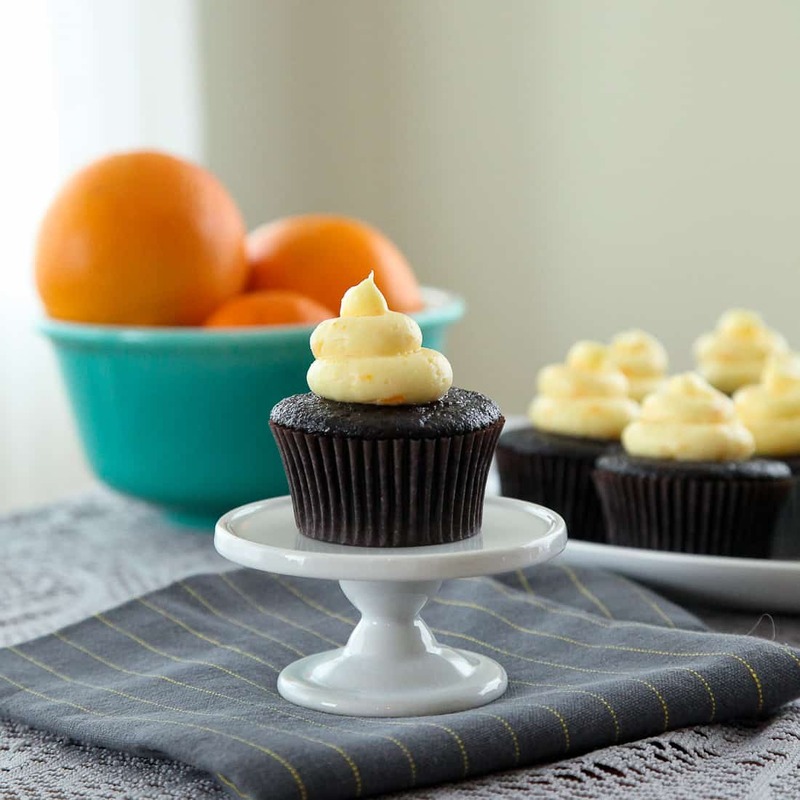 This orange cream cheese frosting tastes JUST like an orange creamsicle all whipped up. 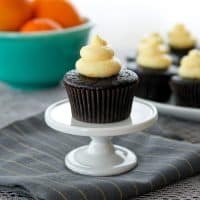 If you don’t have a go-to chocolate cupcake or cream cheese frosting recipe, you do now (feel free to replace the orange juice with vanilla and leave out the zest for a vanilla frosting). Goodbye, old friend Flour. I’ll miss you. We’ve had some good times together. But srsly, stop being an a-hole. Yours truly, Sarah. Combine the milk and vinegar in a cup and let sit for 10 minutes. Sift together the cocoa powder, flour, sugar, baking soda, baking powder, and salt in the bowl of an electric mixer (or a medium bowl if working by hand). Add the egg, water, milk, oil, and vanilla, and stir until just smooth. Fill lined mini muffin tins 2/3 full. Bake about 16-18 minutes, until a toothpick inserted in the center comes out without any batter and perhaps just a few moist crumbs. Let cool in the pan for 3 minutes, then transfer to a wire rack to cool completely before frosting. In the bowl of a stand mixer, cream the butter over medium speed. Add the cream cheese and whip until combined. Add the powdered sugar, in thirds, mixing on slow speed until combined. Add the orange juice, orange zest,and salt, and beat on medium speed until smooth. I am so sad! 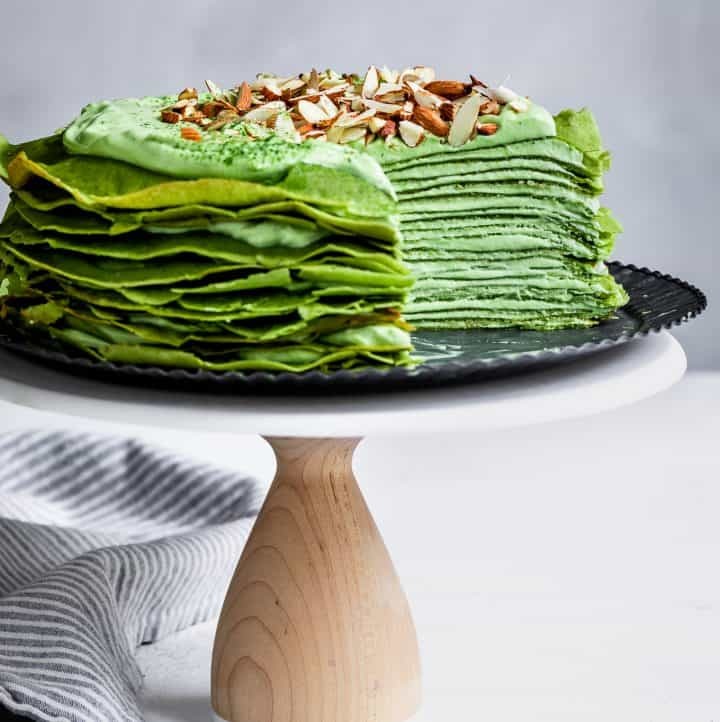 I will say that the recipe and photos are wonderful! I love reading your blog so please keep writing! hahaha – flour IS an a-hole. But I feel for you, it will be hard to give up that white powder that we all love… wait, does that sound weird? This sounds heavenly! 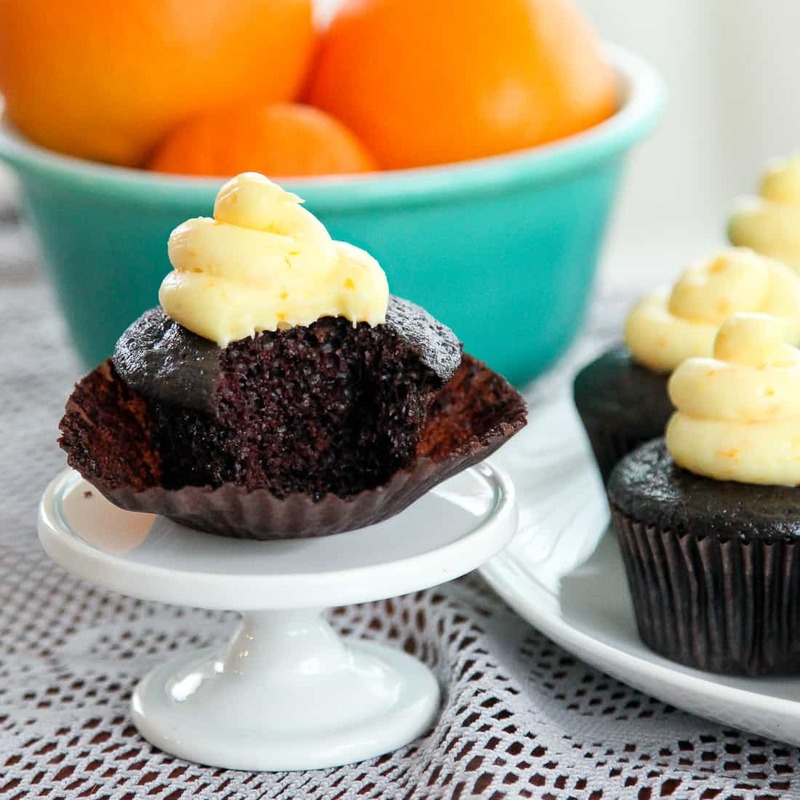 Your Dad’s favorite combination, orange & chocolate! Swenson’s Ice Cream used to make a chocolate & orange ice cream, it was the one we would always choose! I want to make about 6 dozen cupcakes and 6 different flavors for my 5 year old niece’s birthday party, how do I plan for this event to have them ready for the big day. Thanks. Hi Jackie, Sorry for the delay – we’re getting married in my parents’ backyard this weekend so life’s been very hectic! 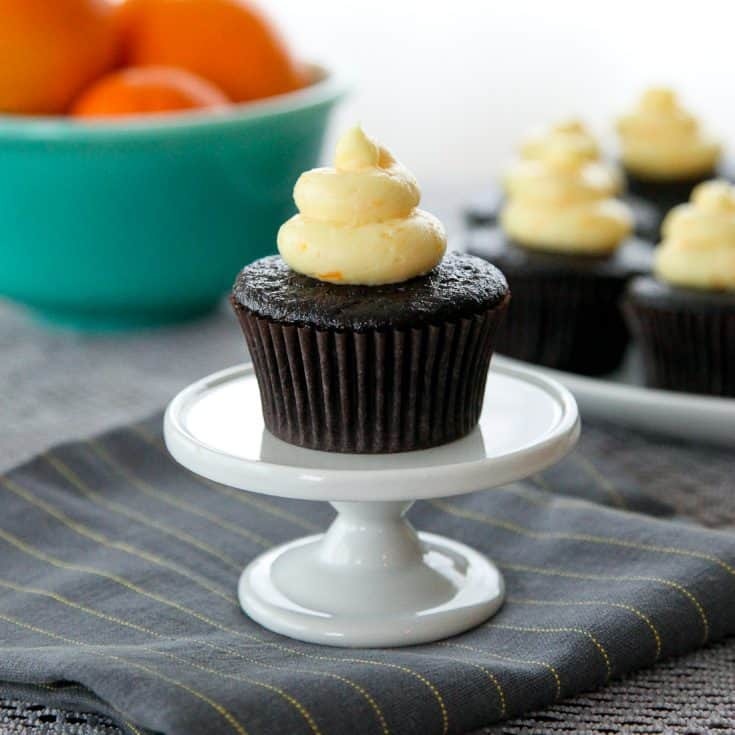 You can make the cupcakes up to a few days in advance and freeze them until you’re ready to frost them. 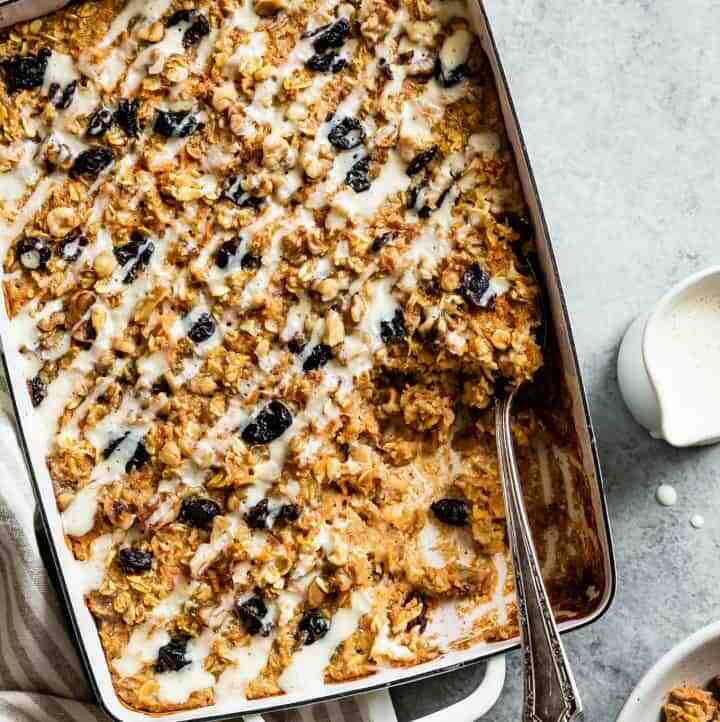 I’d pick the recipes you’re hoping to make and scale them down to the quantity that you need then make 2 batches a day for the three days leading up to the big day and freeze them. Take them out of the freezer a couple of hours before you’d like to frost them on the day of the party and voila! 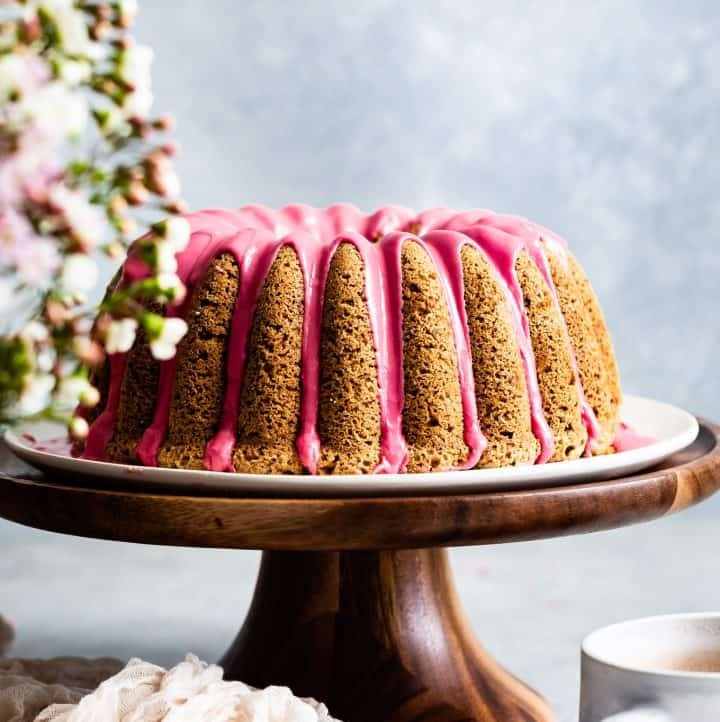 I’d also recommend finding recipes that all taste well with a basic cream cheese frosting as it’s easy to make in large quantities and it’s much easier if you frost them all with the same frosting (maybe use food coloring to mix it up instead of completely different recipes:). Goodluck! Looks so good!!!! I can’t wait to try. Any estimate on how many oranges I need to get 4 Tbs of zest? I’ve never used that much. Thanks! And congrats on the wedding. No rush to answer my question. 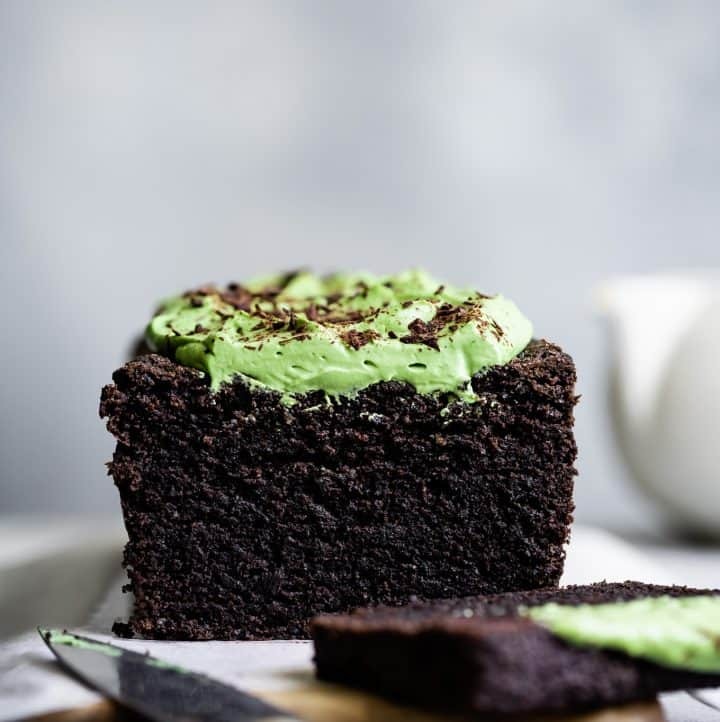 :) Thanks for sharing the wonderful recipe. Somehow in the midst of wedding madness, I forgot to answer! 4Tbs of zest should be about 2-3 large oranges.